New Bimini Top 2 new Batteries New Battery hookups new hydraulic steering hoses oil injection gauge New Prop New VHF radio with Antenna Replaced Throttle control New Throttle shifter New Seat cushions All routine maintenance performer annually Stock #175310 Rare to find fish and ski model. 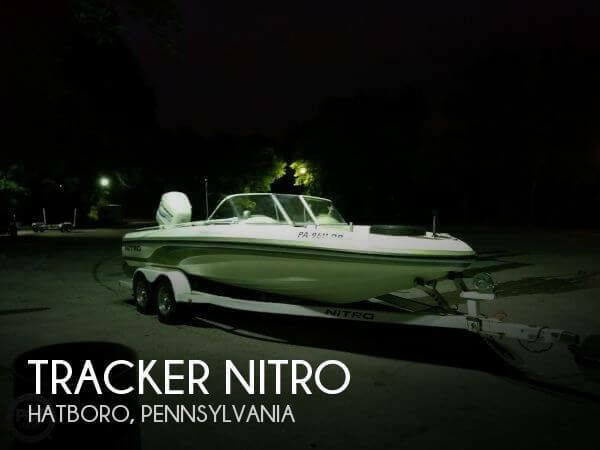 Best of both worlds, a Nitro thoroughbred with fore and aft fishing platforms If you are in the market for a ski/wakeboard boat, look no further than this 2003 Tracker Nitro, priced right at $18,750 (offers encouraged). 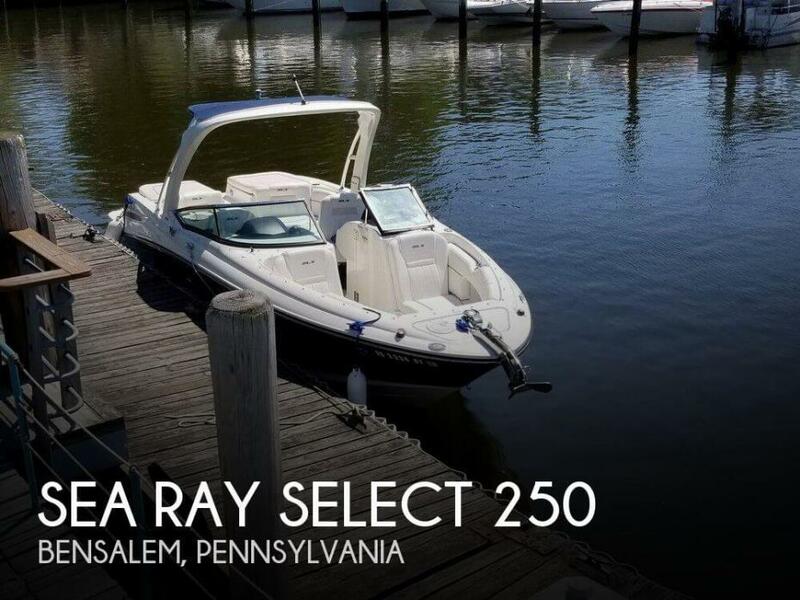 This boat is located in Hatboro, Pennsylvania and is in good condition. She is also equipped with a Evinrude engine that has 750 hours. Reason for selling is does not use enough. This Broker has not been aboard to personally inspect this boat and all photos and information have been provided by the boat owner. The Seller states Fuel tanks two tanks 50 gallons each freshwater 60 gallons new one year ago raw tank new 2 years ago 60 gallon engine hours on boat approximately 1100 generator hours approximately 1,000 bottom paint 3 years old and in fresh water always roof air conditioner does not work have in house air conditioner water cooled works fine It is advised that a prospective buyer conduct a personal inspection and/or hire an accredited marine surveyor to provide an accurate condition report. Stock #160549 FRESH WATER BOAT ** VERY WELL MAINTAINED & UPDATED ** TWIN 270HP CRUSADERS !! 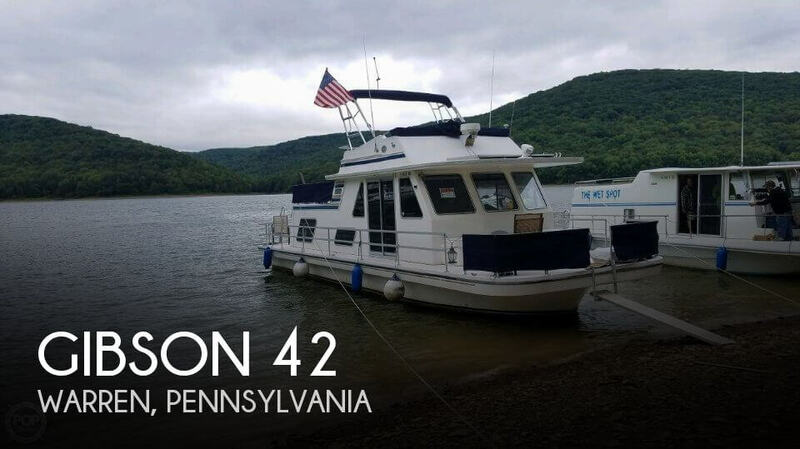 If you are in the market for a houseboat, look no further than this 1993 Gibson 42, priced right at $44,500 (offers encouraged). This vessel is located in Warren, Pennsylvania and is in great condition. She is also equipped with twin Crusader engines that have 1,100 hours. New water pumps (2) New starters (2) New Thermostats (2) All scheduled maintenance has been performed by the local marina annually. All supporting paperwork is available. Stock #171087 Amazing MANTA RAY Power Cat, this boat has it all, Electronics included, Stop fishing and Start catching, today. 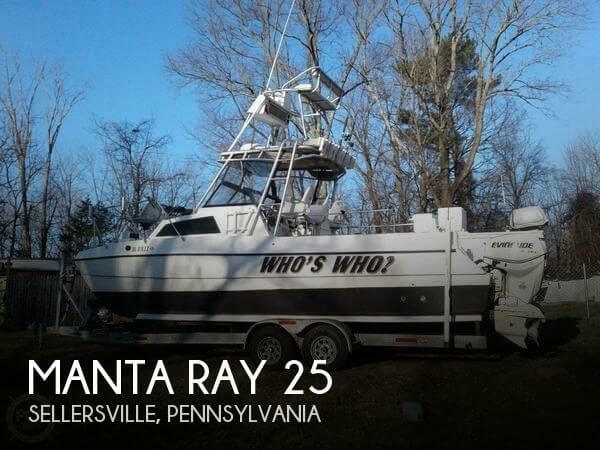 If you are in the market for a power catamaran, look no further than this 1991 Manta Ray 25, just reduced to $24,000 (offers encouraged). 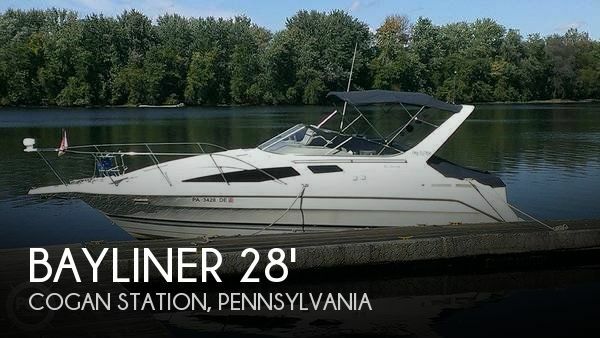 This boat is located in Sellersville, Pennsylvania and is in good condition. She is also equipped with twin Evinrude engines that have 725 hours. Reason for selling is does not use enough anymore. - Documented with USCG - Yearly Coast Guard Inspections - Mechanic Maintained **I have not inspected this vessel in person. All information & pictures were provided directly by the seller. Please do not hesitate to contact me with any specific questions you may have, to submit an offer, or schedule a showing. Stock #175858 This is one beautiful boat, that I hate to part with, but life has changed. It has everything to live on for weeks at a time. If you are in the market for an express cruiser, look no further than this 2007 Regal 3060 Window Express, priced right at $76,200 (offers encouraged). 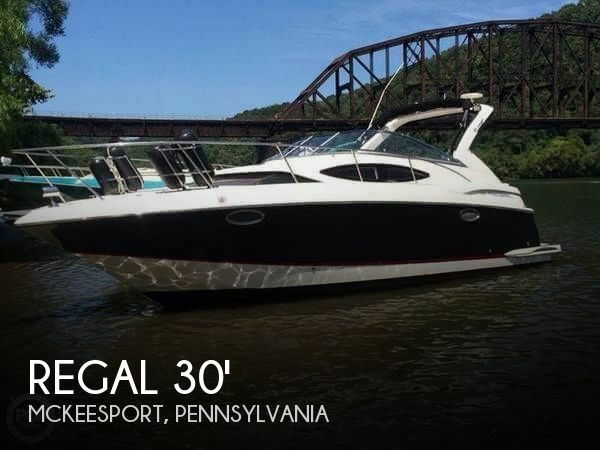 This boat is located in Mckeesport, Pennsylvania and is in great condition. She is also equipped with twin Volvo Penta engines that have only 287 hours. This Aqua Cruiser 44 is in very good condition. Exterior fiberglass is in very good condition throughout. Interior trim, carpet, seats, chairs, sofa, beds, show very little wear for its age. The seller states that everything is operational. Stock #139697 READY TO GO!! 44' long x 14' wide with Twin 90 hp Evinrude outboard engines Sleeps 8 Full head with shower This has been a very well maintained boat! If you are in the market for a houseboat, look no further than this 1992 Catamaran Cruisers Aqua Cruiser 44, just reduced to $66,300 (offers encouraged). 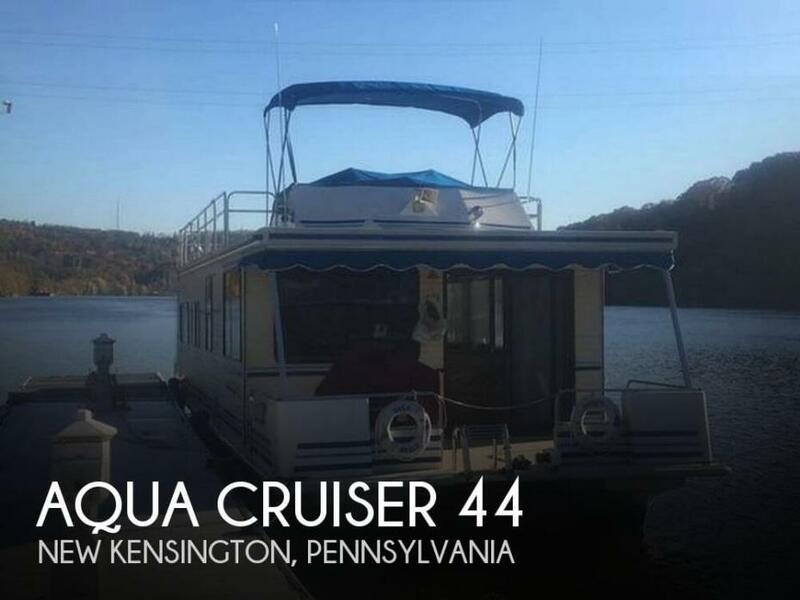 This vessel is located in New Kensington, Pennsylvania and is in good condition. She is also equipped with twin Evinrude engines. Reason for selling is interested in a larger boat. This is a must see vessel and she is ready to show! Tons of repairs, replacements and upgrades. Generator has not been started since owner took possession. Condition unknown... Seller states the outstanding issues are What needs to be done: 1) new canvas 2) teak needs to be redone 3) carpeting 4) Head sink faucet needs to be replaced 5) finish galley counter top Please make an inquiry today to set a showing, ask questions or to make an offer contingent on inspections... Stock #175854 WOWZA! You have to see it to believe it! She's a beauty and needs a new master, so come and get it! Freshwater all her life! 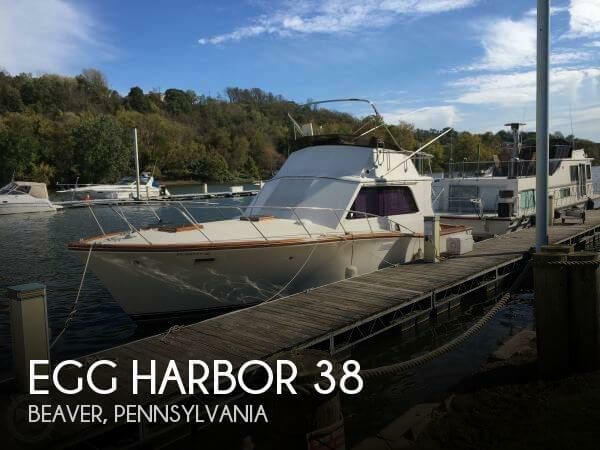 If you are in the market for a sportfish/convertible boat, look no further than this 1972 Egg Harbor 38 Sedan, priced right at $25,000 (offers encouraged). This vessel is located in Bridgewater, Pennsylvania and is in great condition. She is also equipped with twin Crusader engines that have 1,300 hours. 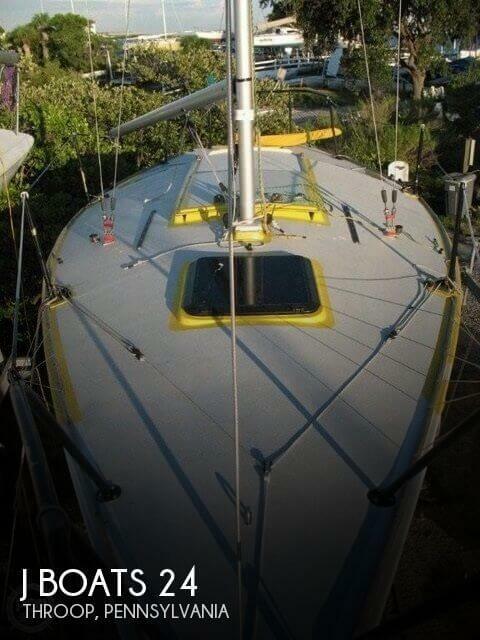 Reason for selling is currently living on his sailboat and not using the egg!. In 2018 the Mercruiser Bravo Three stern drive was removed for full service and they replaced the bellows and all transom penetrations. In 2018 they had a major trailer overhaul -- replaced all four bunks, trailer jack, winch, hubs, brakes and bearings. New anchor windlass in 2017 All ropes, bumpers, life jackets and ski vests will be included with the sale for a ready to hit the water setup. Stock #171883 Nice Maxum 2400 SCR with all new canvas and cockpit cover!! If you are in the market for an express cruiser, look no further than this 2000 Maxum 2400 SCR, priced right at $17,000 (offers encouraged). 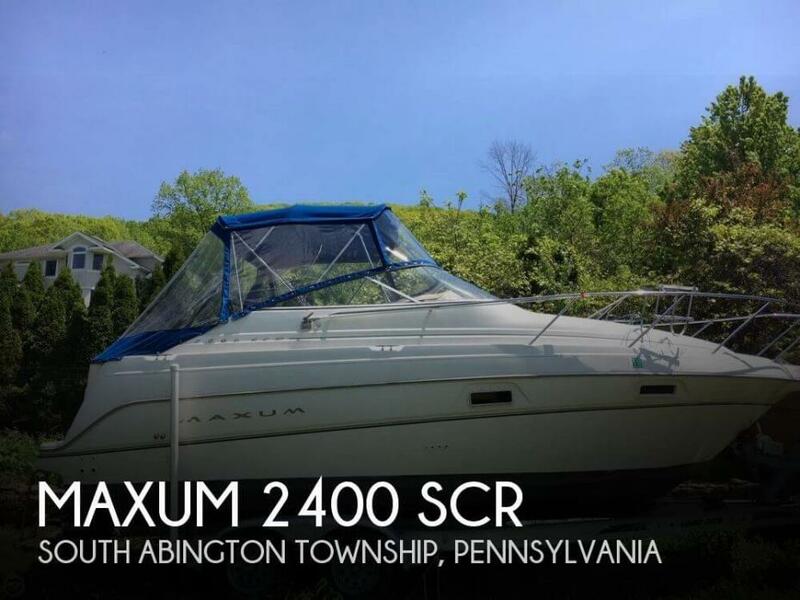 This boat is located in South Abington Township, Pennsylvania and is in great condition. She is also equipped with a Mercruiser engine. Reason for selling is buying another boat. In the last twelve to eighteen months: New electronics - upper and lower stations: GARMIN XS-741 w/ upgraded transducer 20-gallon hot water tank replaced All new lines and fenders New washdown pump New shore power cable 50 amps Stock #157648 Sport Fisherman FiberGlass!!! Ride in style and comfort!!! 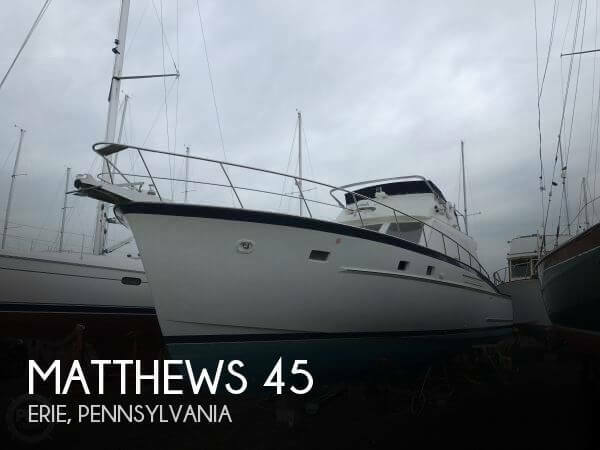 If you are in the market for a sportfish/convertible boat, look no further than this 1969 Matthews 45, just reduced to $84,900 (offers encouraged). This vessel is located in Erie, Pennsylvania and is in great condition. She is also equipped with twin Cummins engines that have 2,600 hours. Reason for selling is owner wants a smaller boat. Topsides and deck appear in excellent condition and the trailer shows no signs of corrosion. The hull sides are waxed annually and the outboard engine also looks clean and well maintained. The plastic portholes and front hatch don't show any crazing and the nonskid on deck appears to be in excellent shape. Stock #166616 Excellent condition loaded with extras to ease sailing! Engine rarely used- only 20 hrs! If you are in the market for a sloop, look no further than this 2013 Precision Precision 18, just reduced to $12,450 (offers encouraged). 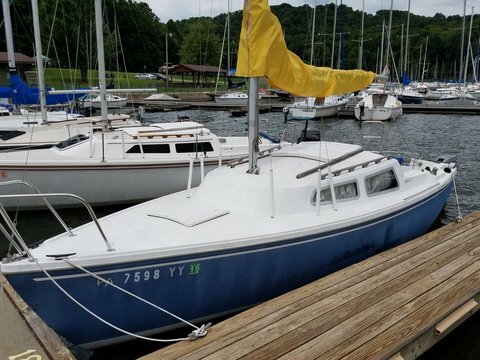 This sailboat is located in Quakertown, Pennsylvania and is in great condition. She is also equipped with a Honda engine that has only 10 hours. Reason for selling is getting out of boating. Stock #177279 1981 J BOATS 24 COMPLETELY RE DONE IN 2004 5 HP MERCURY TRAILER INCLUDED If you are in the market for a racer, look no further than this 1981 J Boats 24, priced right at $18,750 (offers encouraged). This sailboat is located in Throop, Pennsylvania. She is also equipped with a Mercury engine. The overall conditions is good but the boat needs a deep cleaning There are no tears in the seating and hull is in good shape. The bottom has never been painted and just needs a waxing. The cover needs to be replaced. It is faded and its days are numbered. Engine compartment is clean. Stock #170043 A nice Donzi 22 foot classic with a King cobra one venture for a great price! 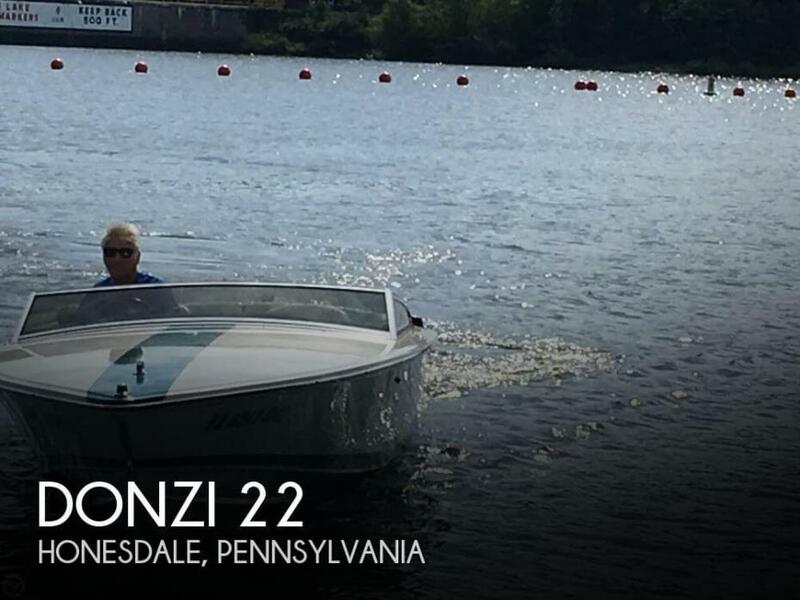 If you are in the market for a high performance boat, look no further than this 1993 Donzi 22Classic, just reduced to $18,500 (offers encouraged). 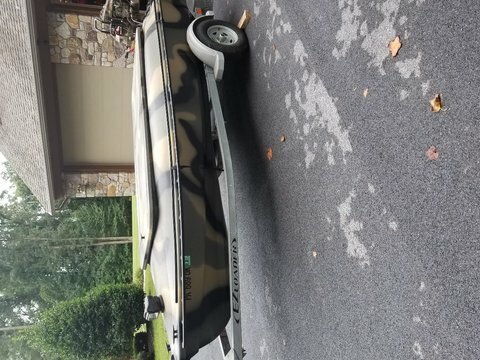 This boat is located in Honesdale, Pennsylvania and is in good condition. She is also equipped with a OMC engine that has 350 hours. Reason for selling is not using.